EuroMold is an international trade show for mold, pattern-making, tooling, design, additive manufacturing and product development. This event is oriented and focussed towards users in areas such as the automobile, sub-contracting, electric and electronic industries, household appliances, medical devices, consumer goods, air and space travel and leisure and sport. If you want to be part of this incredible fair, contact our team of experts in trade shows in order to find the best stand builders & designers in Düsseldorf. We collaborate with many incredible companies and we'll be happy to help you! One of Euromold’s unique characteristics is the intersectoral exhibition that offers solutions for a variety of branches. 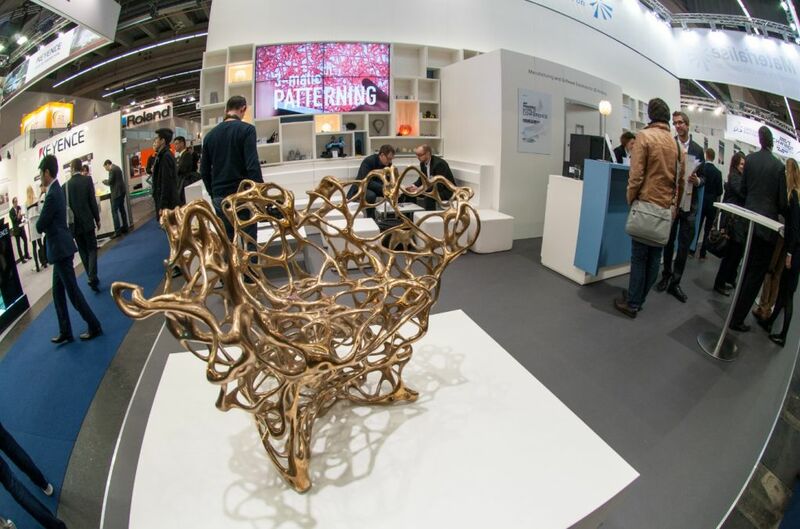 In contrast to similar fairs, Euromold keeps the focus on holistic thinking with exhibitors that demonstrate how products from different departments perfectly fit together to create innovative opportunities and perspectives. Consequently, enterprises from totally different industries are lined up at Euromold and exhibit their ideas in combination. Prepare find the best tools, processing and finishing machines, patternmaking and prototyping technologies, and many related services! What are you waiting for? EuroMold is waiting for you and your company! Don't waste this amazing opportunity to increase your sales and find the best buyers in Europe (and beyond!). Apply for a exhibition stand and start preparing your presentations! Euromold would not be complete without its supporting program. Next to the booths of our exhibitors you will find various forums concerning the different, oriented issues offering a variety of lectures, seminars and workshops. Euromold is well known for the exigent events after the regular trade fair hours. The informal atmosphere is just the right setting for expert talking and meetings of national and international decision makers from the whole industry. Don't miss this opportunity to learn with top experts and network!